The challenge of Debonair Facial Hair really couldn't be simpler. As the new barber in town, you need to tweak, wax and sculpt your way through a series of clients, using a slick gesture system. A series of dots will appear on the screen, and all you have to do is draw your finger through them before they vanish. For each dot you successfully clear, you'll receive a handful of points which fill up a scoring meter. There's a catch though. Each client you face comes with its own irritating enemies that obscure the action in front of you, so you'll either need quick fingers to tap them away off the screen, or a good memory so as to keep track of those gesture lines. Not only does each character in the game have their own personality and gesture challenges, you'll also have to fend off different enemy types. Shaving Farmer Joe is no mean feat, due to the wandering sheep who walk through the scene and obscure the gesture pattern, while sudden invasions of gnomes temporarily stop you trimming a bearded lady. A tap of the screen clears them away in most cases, but you'll also have to stay on top of those gesture lines before they vanish. The game is over very quickly indeed. Twenty minutes after starting our review time, we'd polished off every barbershop challenge to at least a two out of three star rating - and we're not sure you'll feel all that motivated to go back and improve on your score. The chuckles and murmurs of appreciation from your clients are also very repetitive, and they don't exactly encourage you to go back through the game for more! 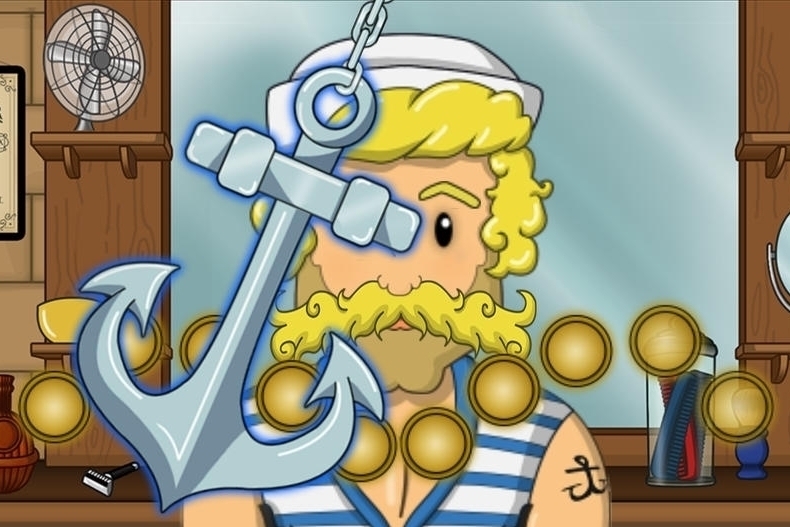 Despite the brevity and repetition of Debonair Facial Hair, it's by no means without its charms, although you can expect to get much more value for money elsewhere in the App Store. Right now the whole package feels like a bit of a prototype, but those with younger children will likely get decent mileage out of the game.